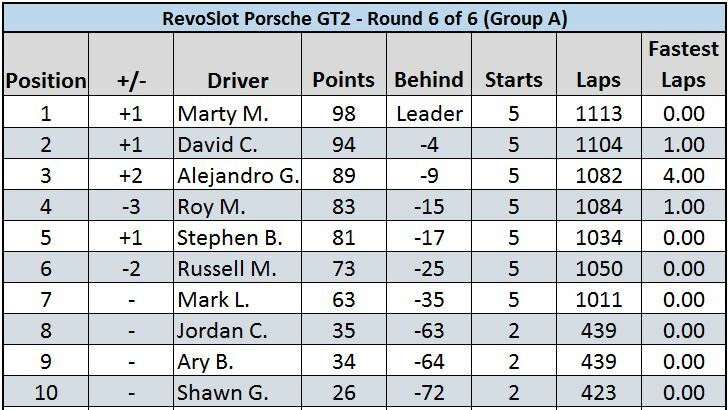 The 6th and final round of the RevoSlot Porsche GT2 series was another close race with the final results not being too different from the final standings at the end of the last round. 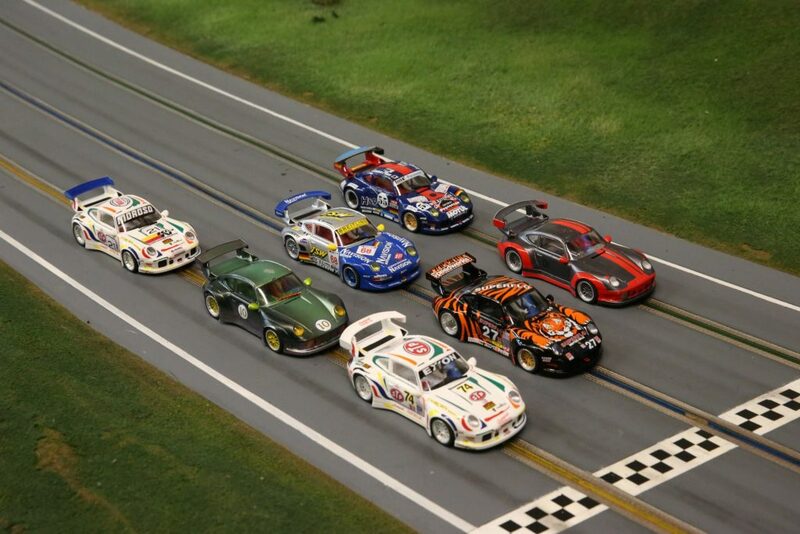 Eight racers showed up to contest this final round of the series. 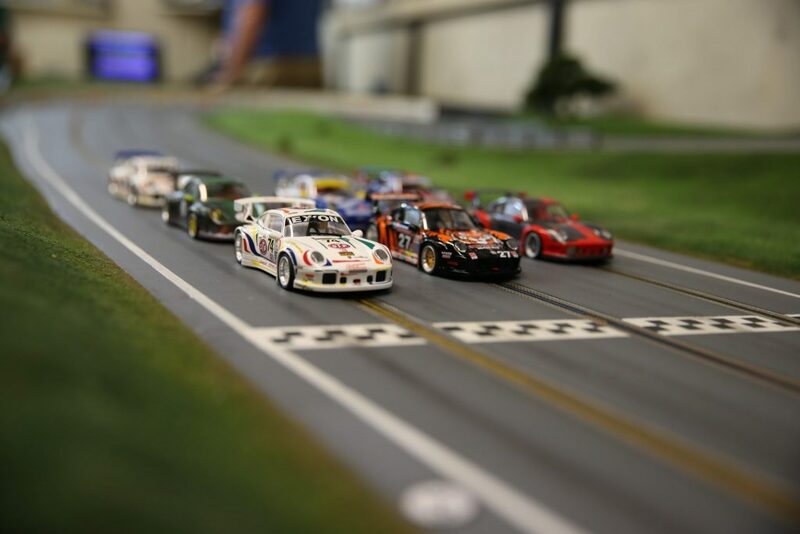 As is usual with any series the attendance for the final round is typically smaller as some racers are so far out of contention for a podium they would rather stay home and do yard work than show up and race. 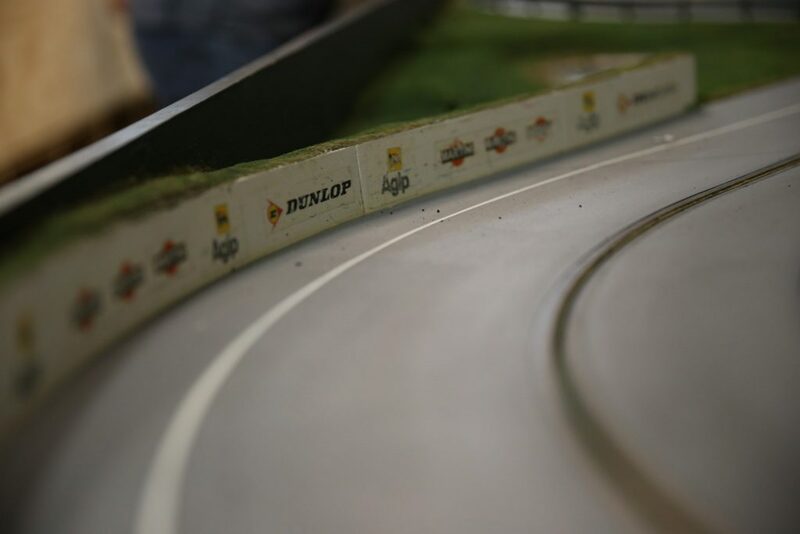 The track temp, ambient temp and humidity were all very close to the last round so conditions were about as good as they could get for racing and should not play a role in the final results. Tire wear was once again the concern of the day. Everyone was hoping their tires would not only last to give them a chance of winning they were also hoping the tires would pass post race tech. All cars passed post race tech with various states of tire and car wear. It would be interesting to see how this final round of the series would go. If car preparation was any indicator it would be all over the map. The eight heats went by quickly with no real surprises or upsets in any of the heats. 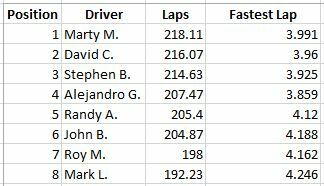 There was nothing out of the ordinary to speak of and the final results were Marty with 218 laps to David’s 216 with Stephen in third with 214 laps. 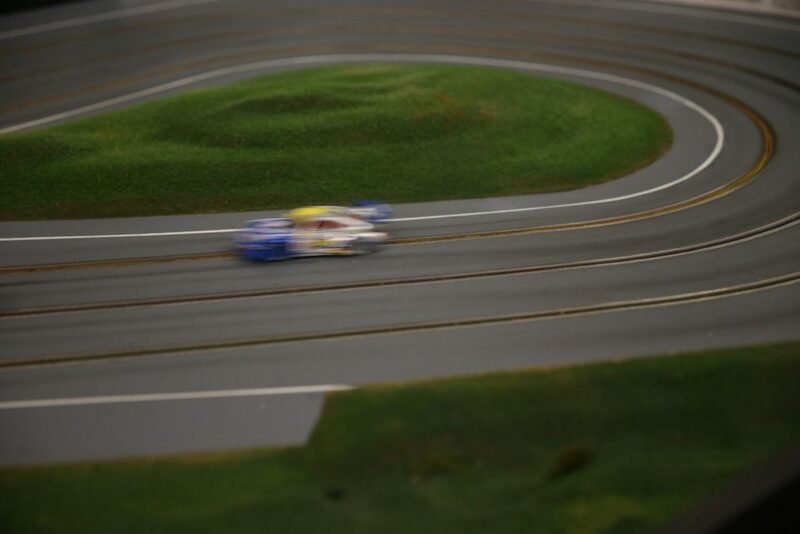 Fourth place was Alejandro who also took the fastest lap with a time of 3.859. Fifth was Randy the first Group B racer. He was followed very closely by John and then Mark. 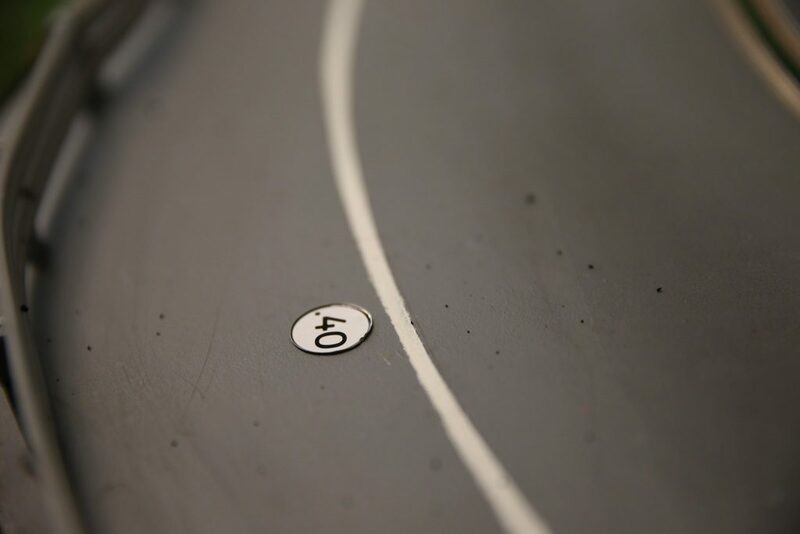 As a testament to the amount of tire wear the cars were experiencing you can see from the pictures all of the rubber marbles left after just one round of the series with only eight cars running. Now you can see why people were so concerned about tire wear. 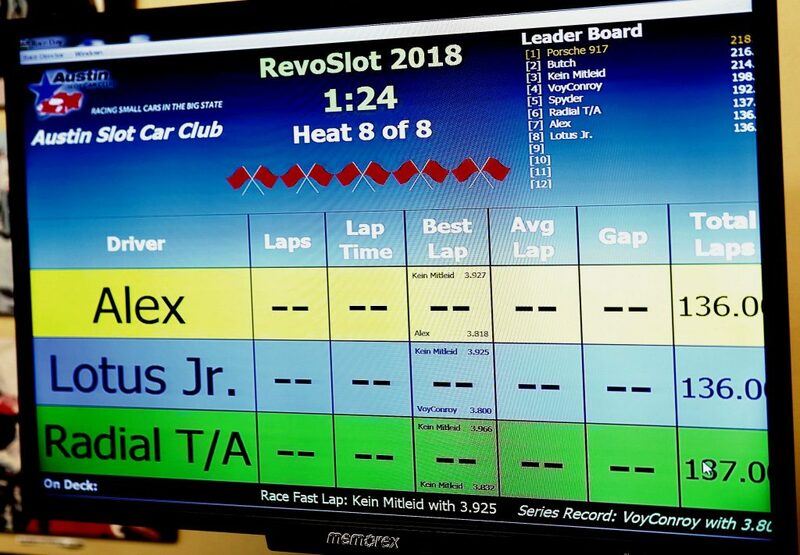 Nine cars were collected after the final round to check the RPM performance both at the wheel and the motor to see who had the fastest motor and the fastest wheel speed. 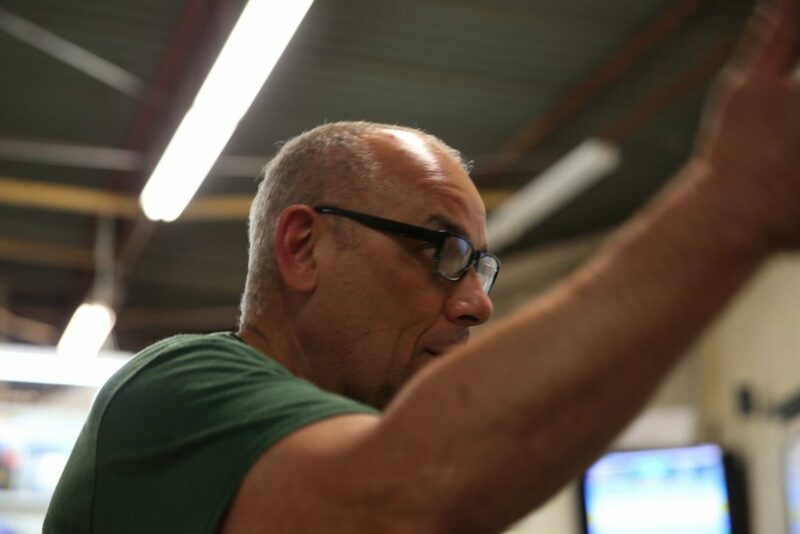 The only number that we do not have is the torque of the motor. 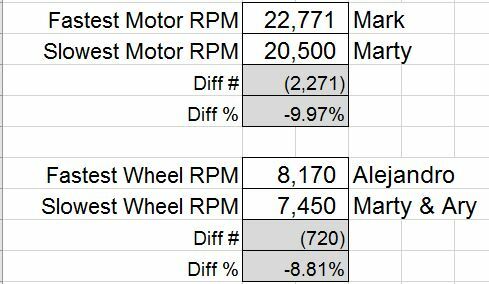 Let’s see if the fastest motor or wheel RPM wins. 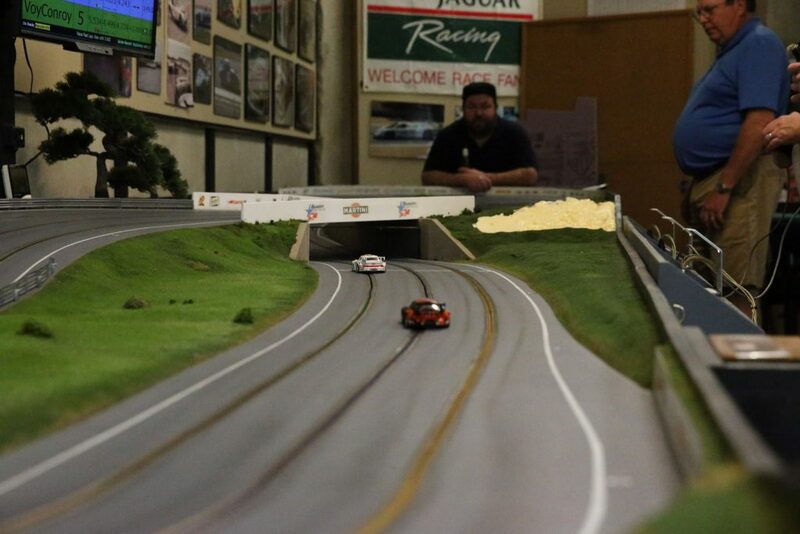 The big question – how close were the cars in motor RPM and wheel RPM? 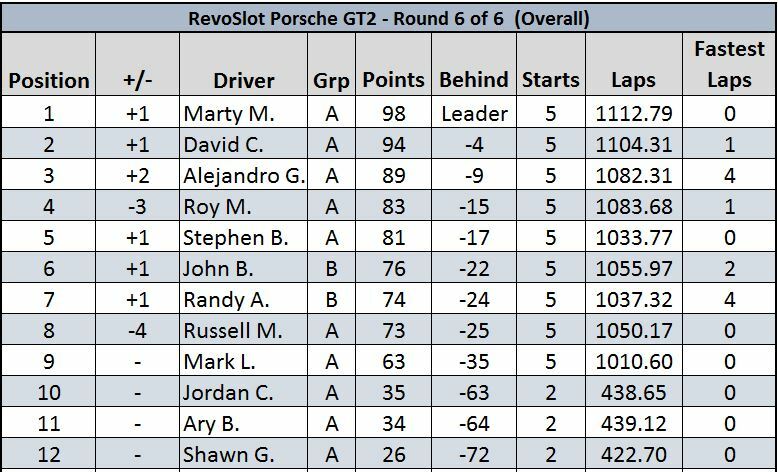 The thinking is that some motors were down on power while others were losing power from earlier races to the final race. 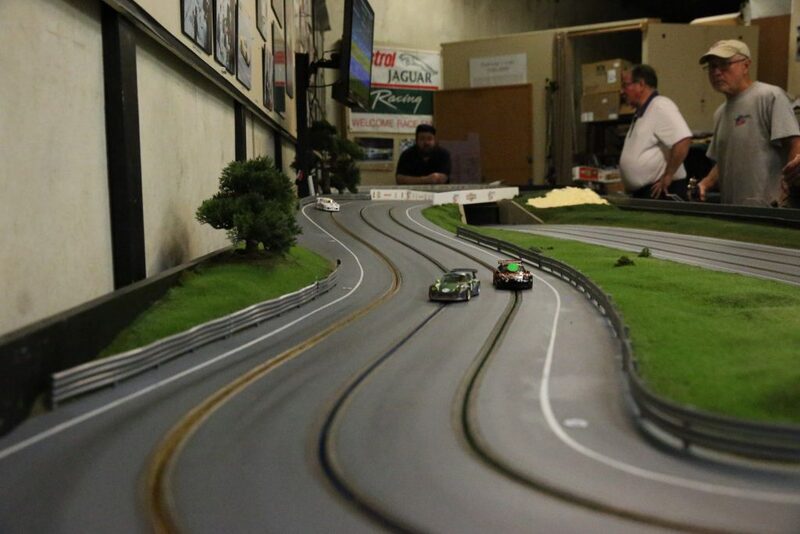 Some racers thought they were at a disadvantage because their car “felt” slow. Let’s see how the cars finished and what the ONOSOKKI digital tachometer tells us. 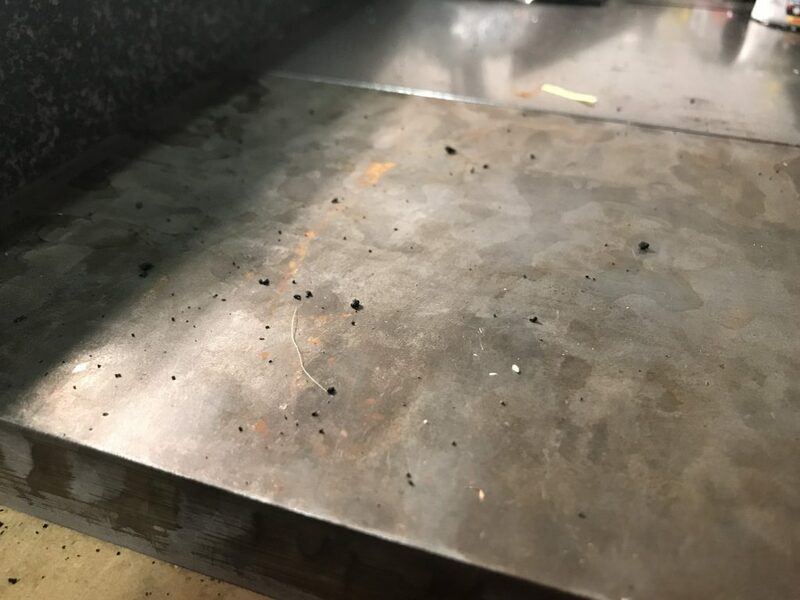 After taking all of the measurements from the cars there was a mess of rubber marbles on the workbench. It was a fun series to run and was a learning experience for club members as well. 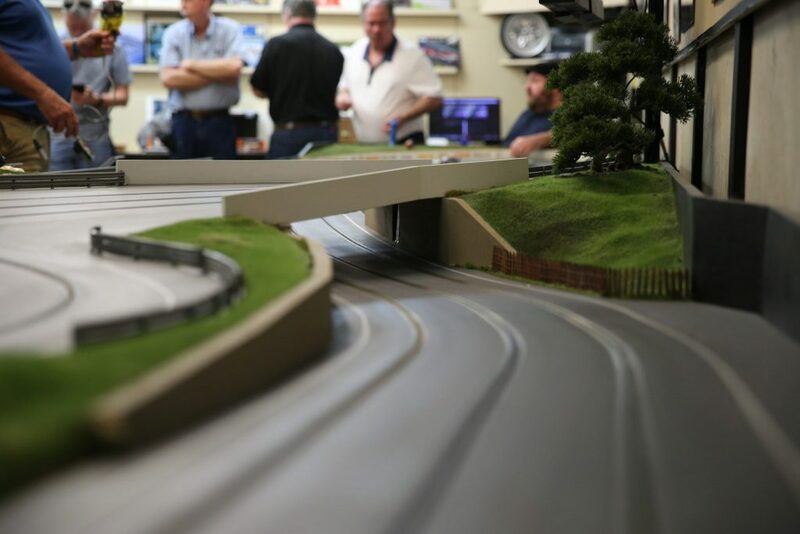 It was something new to run a series to a very specific set of rules, specifically regarding the tires and wheel track. 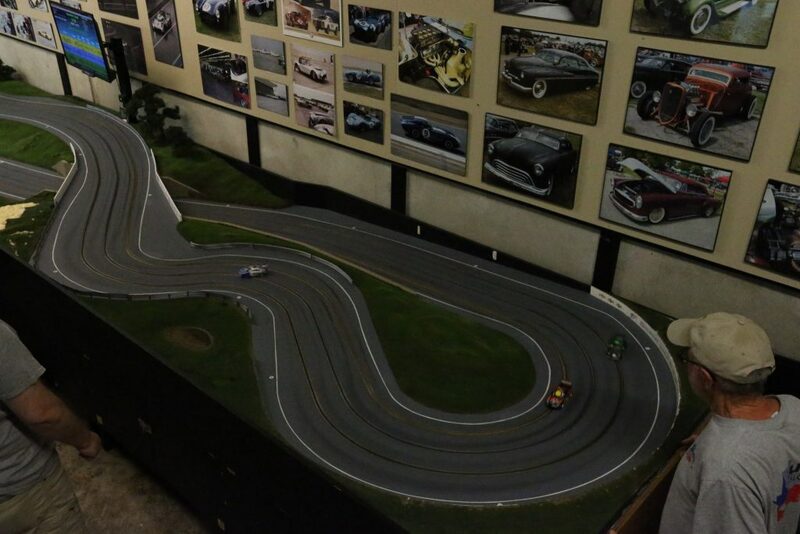 The idea behind running an absolutely stock series was to remove the car from the mix and focus more on the driver but in the end the preparation and set up of the car were big determining factors in how well the car and driver performed. Can’t wait to run these cars again. These are great cars to run and I am sure the club will look at running them again in the not to distant future. The main issue with the cars was the tires. 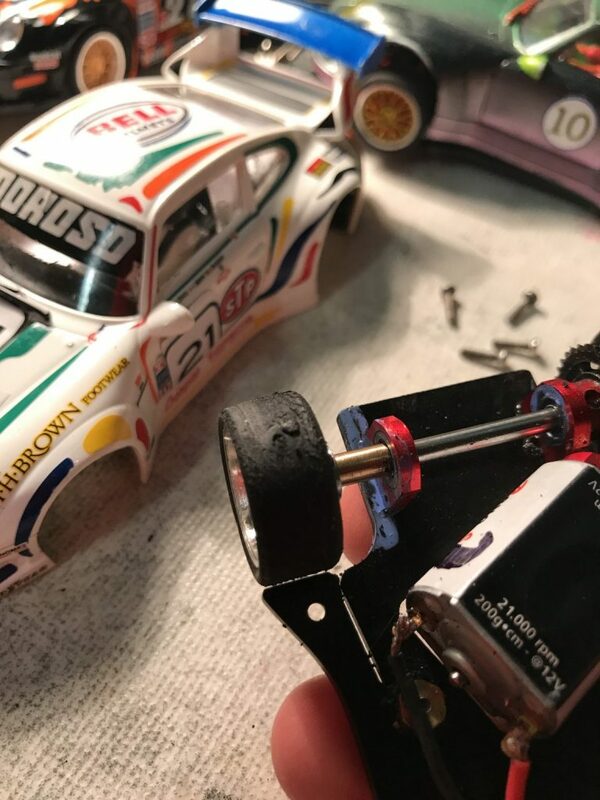 If we changed out the rear end to run Slot It shore 30 tires or run foam tires I think the series would have been more fun and would have removed the tire issues from the table. 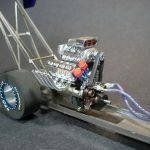 The motors were a smaller issue but could have been resolved by replacing the stock motor with something that is more consistent like a NSR or Scaleauto motor. 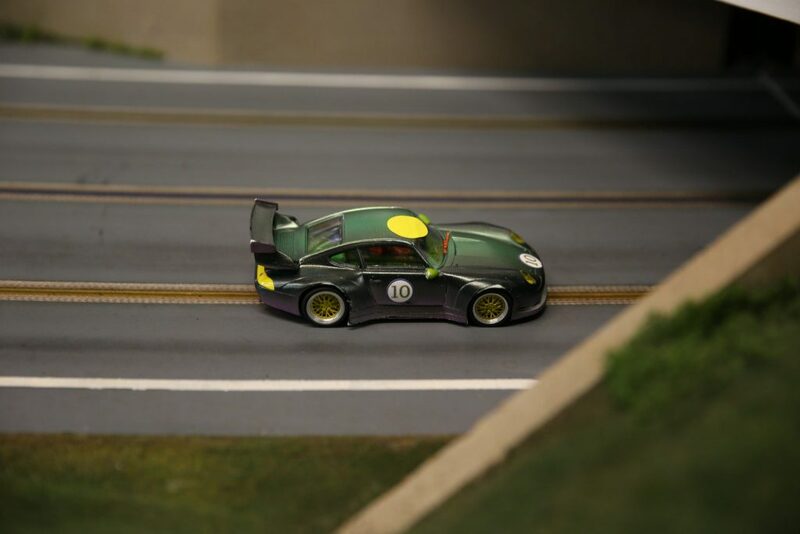 I would highly recommend running these cars in any clubs race series. 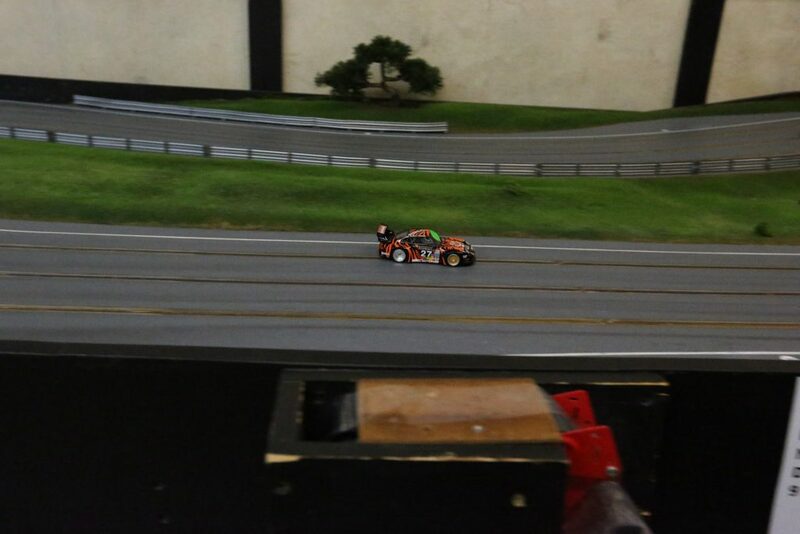 and also so fun to see those aluminum heavy cars with so rigid chassis and powerful motors run around and under 3.9 sec. FANTASTIC analysis Marty. Apparently I was shedding my tires with my hot motor, no wonder it was a chore to handle. 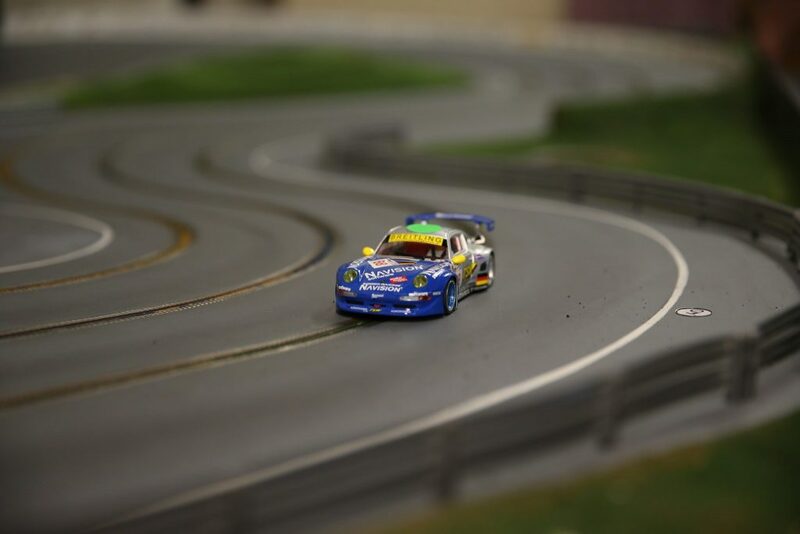 However that is not the total story since in the last race I was using a fairly fresh motor which only had a few hours of burn in and another 2 hours of track time.